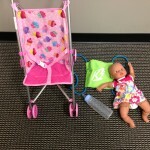 It was Mother’s Day and we needed a game, so we thought why not use a sling shot to launch baby dolls across the room, make students put them in strollers, race around the building, make it back to the front of our room, and then chug a bottle of milk? First team to complete all 3 phases of this relay race wins! 1. Baby Dolls. You’re going to want some weight to these babies, but it’s all about testing how far they fly. 2. Water Balloon Slingshots. Any standard water balloon slingshot should do. 3. Strollers. Nothing fancy here, I bought some cheap toy ones at Walmart for like $7 each. 4. Baby Bottles. Same thing, go for cheap. But make sure they are squeezable, if they are hard plastic it might take a while to finish this race. Make sure you clearly define where each stage of this relay race happens, we usually put duct tape on the floor for a starting line for each part. Also, you’re going to want to cut the tip of the baby bottles off so more milk can flow through. Other than that, just make sure each station is ready. 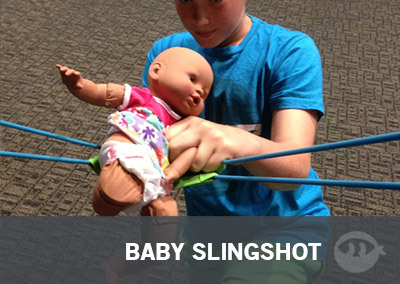 The game is played with teams going head to head and starts with the sling shot. 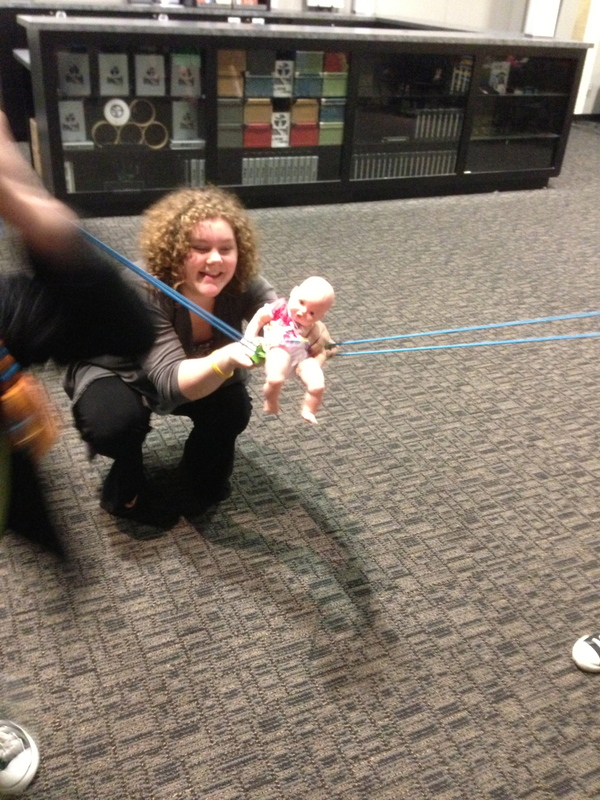 We played that the doll had to fly past a certain line or they had to re-launch it. 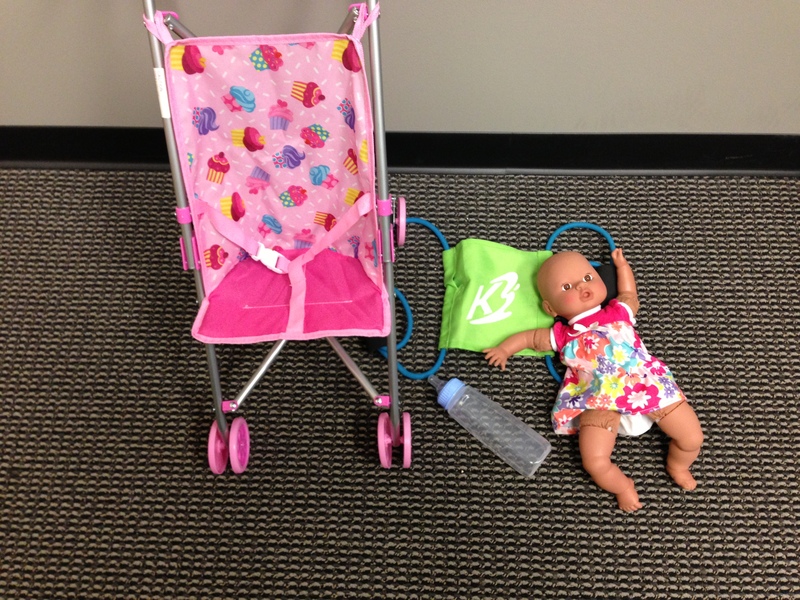 Once the doll was launched past the line, a teammate was waiting for it and they ran and put it in a stroller. They then ran through the halls of our building (out of site of everyone watching which added to the anticipation if it was a close race) until they made it around a certain point and back to the front of our stage. 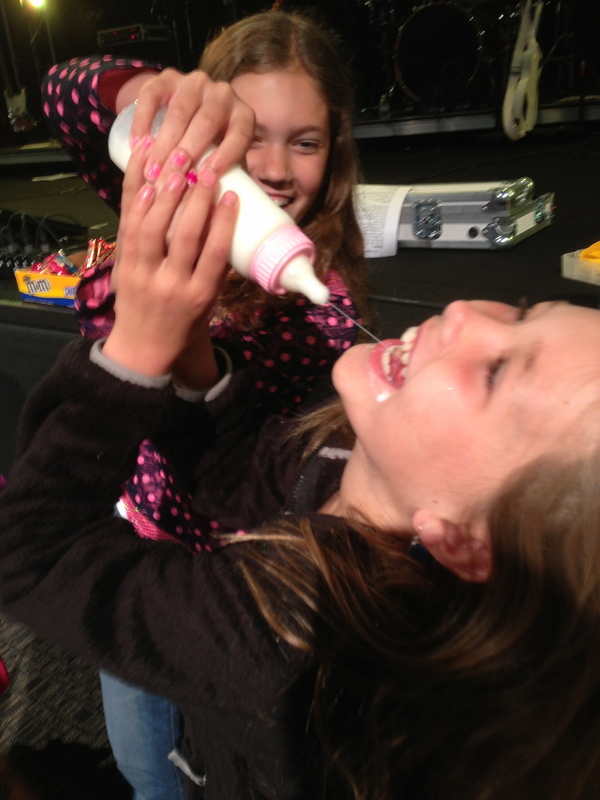 Once they made it back to the front of the stage they had a teammate waiting to start chugging a baby bottle. 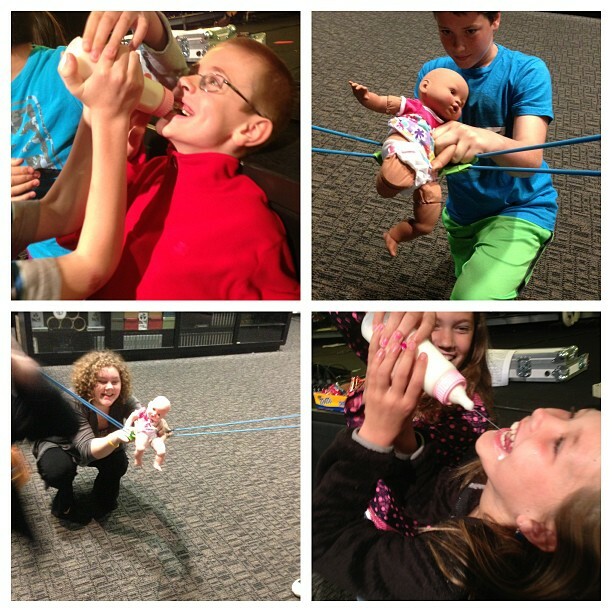 The first team to finish all the milk in the baby bottle wins!